Weight: adults tip the scales at 300-350 pounds (hatchlings weigh less than one-tenth of a pound); length: adults reach 3 feet (hatchlings start life at 2 inches); lifespan: unknown but estimated to be between 60-70 years, with sexual maturity occurring between 20-50 years. Females return to the same beaches where they were born (“natal” beaches) every 2-4 years to lay eggs, generally in the summer months. Hawaiian Green Sea Turtles have a smooth top shell (carapace) with shades of black, gray, green, brown, and yellow; their bottom shell (plastron) is yellowish white. 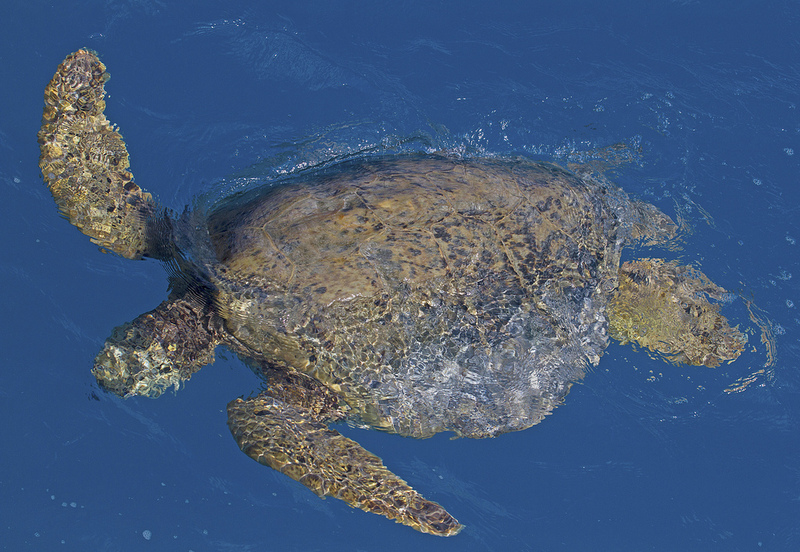 These are among the largest sea turtles in the world, yet have a comparatively small head. The adults are unique among sea turtles; after starting life as carnivores, their diets gradually shift and the adults become herbivores, eating mainly plants such as seagrasses and algae. Some speculate that their diet may cause the greenish-colored fat found under the shell and from which they take their name. Over 275 different species of seaweed have been found in their stomachs. 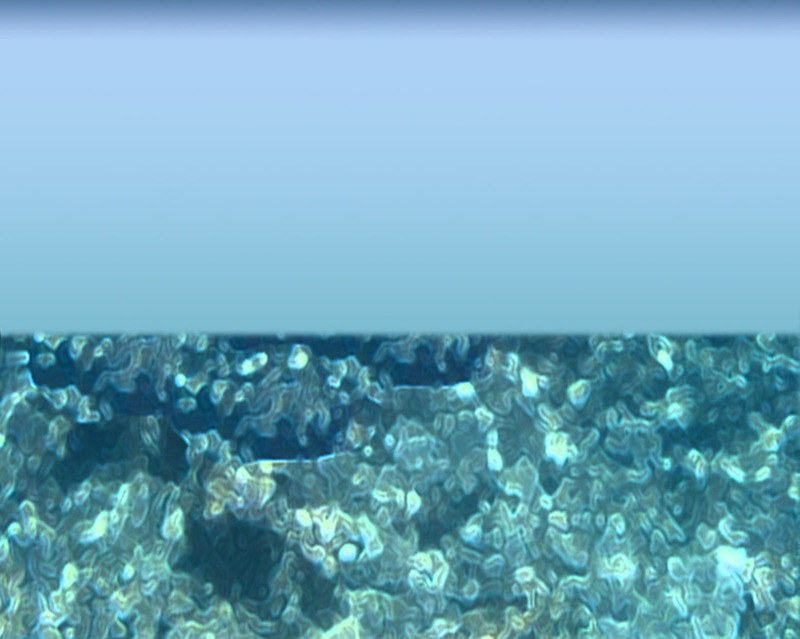 Other food items include jellyfish, salps, mollusks, sponges, and tubeworms. 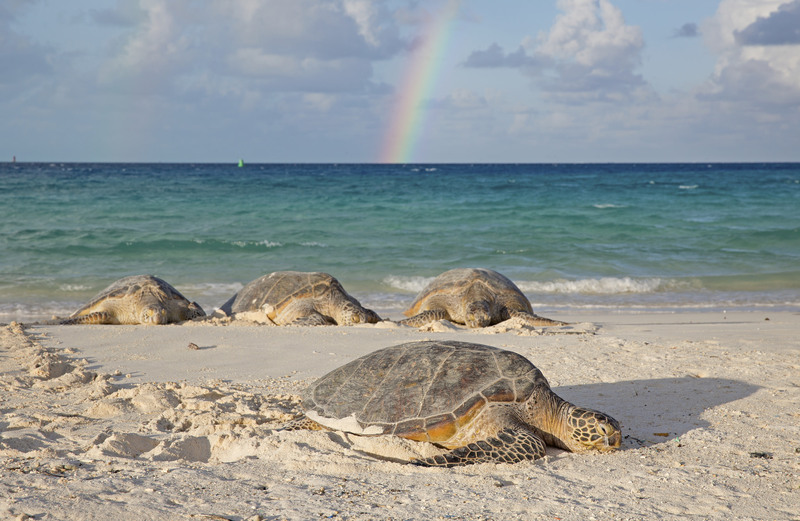 The Green Sea Turtle was listed under the Endangered Species Act in 1978. The federally-recognized distinct population of Hawaiian Green Sea Turtles is listed as “threatened.” Globally, Green Sea Turtle numbers are declining. In contrast, the Hawaiian stock has been increasing and population numbers are now approaching pre-exploitation levels. But the turtles’ recovery is not without peril. More than 90% of the Hawaiian population nests at French Frigate Shoals in the Northwestern Hawaiian Islands, making the long-term survival of this population dependent on the health of one tiny speck in the middle of the ocean. They migrate to feed mainly in the coastal areas of the Main Hawaiian Islands, exposing them to numerous risks. Limited nesting locations and important coastal foraging areas for Green Sea Turtles are found throughout the Pacific Islands. Disesase: Fibropapillomatosis causes tumor growth on the exposed soft tissue including flippers, head, and neck areas. While the tumors do not appear to be accompanied by any other symptoms or negative effects, their location could be detrimental to the survival of an individual. Tumor obstruction of a turtle’s eyes could result in starvation or impair the ability to avoid predators.